The 14-megawatt Nellis Solar Power Plant at Nellis Air Force Base in Nevada was the second-largest in the U.S. when built in 2007. The rooftops of school buildings are rarely considered hot real estate. But tiling them with solar panels has proven an effective way for Potentia Solar to grow its project development and management business. The Toronto-based company, founded in 2000, has built 45 megawatts of projects at over 200 school sites across Ontario. It’s working on installing another 45 megawatts at hundreds more, says Potentia chief executive Daniel Argiros. The company’s business model is simple: lease the rooftops, equip them with solar energy equipment, and sell the clean electricity to the province through a 20-year contract with Ontario’s power authority. In exchange, the school gets its roof fixed or shares in the revenue. Figuring out how to make solar energy lucrative for investors and affordable for consumers and businesses has been a big challenge for North America’s solar energy market over the past decade. But a combination of tax credits, rebates, mandates for utilities to buy more clean energy, and long-term leases, has led to falling costs and stronger growth. At the same time, with solar slowly shedding its image as a risky investment, more banks are offering loans to homeowners for buying solar panels. 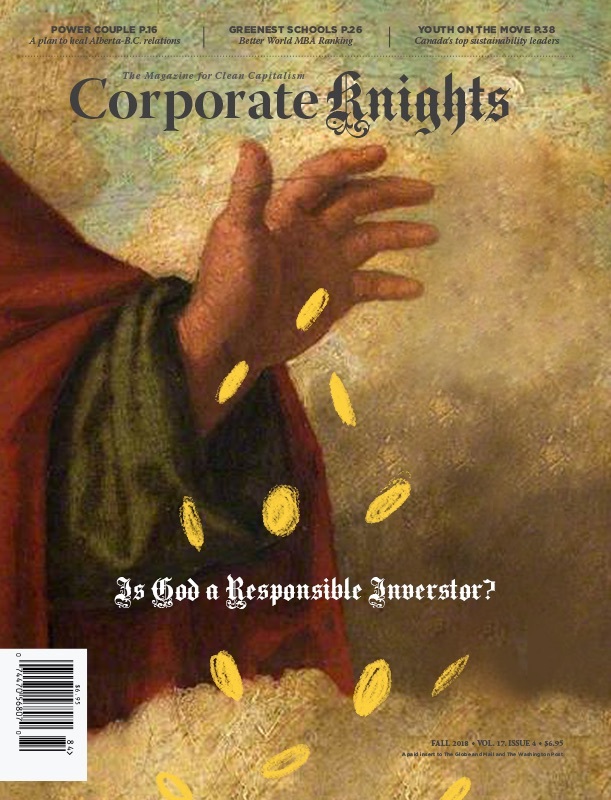 Investment vehicles, such as green bonds or securities backed by solar energy installations with long-term power purchase contracts, have also emerged over the past year and are being marketed as reliable sources of income. In Ontario, for example, a co-operative called SolarShare has sold $10 million worth of five-year community bonds that are RRSP-eligible and which return 5 per cent annually. Anyone can buy them, and proceeds have so far resulted in construction of projects totaling 3.4 megawatts. 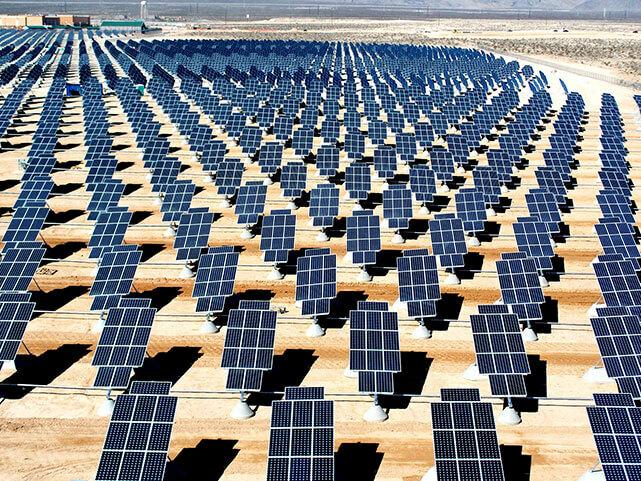 The United States is third in the world when it comes to the annual installation of solar power generation capacity. China and Japan rank first and second, respectively, while Canada ranks 14th. Annual installation of solar systems in the United States has jumped from a measly four megawatts in 2000 to 6,201 megawatts in 2014, according to GTM Research and the Solar Energy Industries Association. Cumulative capacity sits at 20 gigawatts – roughly equivalent to 40 mid-sized coal-fired power plants. In Canada, solar energy development has been concentrated in Ontario, where pro-solar policies have been a major driver of growth. The Canadian Solar Industries Association hasn’t finalized country data for 2014, but between 2000 and 2013 total capacity grew from about seven megawatts to nearly 1,210 megawatts, with 445 megawatts added in 2013 alone. GTM Research expects that annual contribution will climb to 880 megawatts by 2020. In the U.S., the fate of a generous 30 per cent federal tax credit that can offset solar project costs looms over the market. That credit is expected to fall to 10 per cent starting in January 2017. The solar industry is lobbying to extend it, but there’s no certainty Congress will do so. As a result, developers are rushing to complete their projects by the end of 2016, even if their 20- or 25-year power purchase agreements don’t kick in until much later. In such a situation, they’ll try to sell the power through short-term contracts. GTM Research is forecasting the annual installation in the U.S. will shoot up to nearly 12,000 megawatts in 2016 before diving 57 per cent in 2017. Projects built for utilities or to sell power to utilities will be the hardest hit. “The U.S. will undergo a transition over the next few years, moving away from relying on the investment tax credit,” said Adam James, a GTM analyst. Growth, which should pick up after 2017, will start to depend more on state mandates that require utilities to buy more renewable energy and policies that make solar a financially attractive alternative to conventional energy for homes and businesses. A big decline in solar panel pricing is boosting market growth, too. But it has come at the expense of dozens of manufacturers that went bankrupt or sold their business cheaply. Those companies include Q-Cells, once the largest solar cell manufacturer in the world, and a slew of venture capital-funded startups trying to bring to market solar cells that use compounds other than the dominant silicon. The most prominent of them all was Solyndra, which filed for bankruptcy in September 2011 after securing a $535 million federal loan and used most of it to build a large factory. 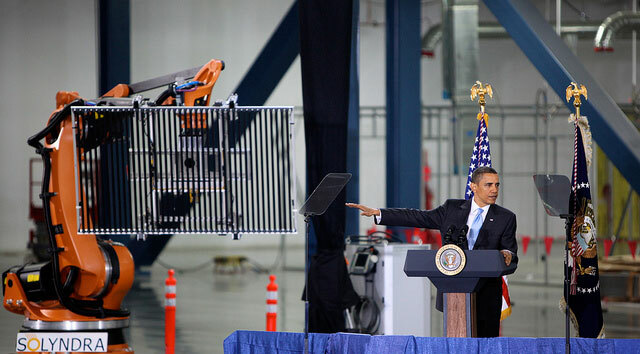 Solyndra’s demise was a warning sign that supply was exceeding demand in the global market. Declining government subsidies and a weak economy contributed to that imbalance. But the glut continued for several more years and led to trade disputes in the U.S. and Europe, which accused Chinese manufacturers of flooding the market with solar panels at below fair-market prices. The U.S. government has since imposed different sets of duties, which reached as high as 250 per cent, on solar cells and panels coming from China and Taiwan. In March of this year, the Canadian government approved provisional tariffs as high as 286 per cent against Chinese manufacturers while it investigates claims that the companies are selling at below cost. Ontario-based Canadian Solar also faces the sanction because it has a big manufacturing operation in China, in addition to running factories in Canada. “These artificial trade barriers, which we think are unjustified, will have to be removed if the government wants” to see the market grow, said Michael Potter, Canadian Solar’s chief financial officer. The average wholesale price for solar panels worldwide plunged 40 per cent from $1 per watt in 2011 to $0.60 per watt in 2014, according to GTM. The market research firm expects that price will fall to $0.50 per watt by the end of 2018. The tariffs, however, have pushed up the price of Chinese solar panels sold into the U.S. by 14 per cent over the past two years, from $0.63 per watt at the start of 2012 to $0.73 per watt during the first quarter of this year. Despite the tariffs, Chinese manufacturers remain the top suppliers to the world and North America. Half of the top 10 solar panel makers hail from China, including Trina Solar, Yingli Green Energy and JA Solar, according to IHS Technology. Canadian Solar is on the list, too. Canadian Solar has shifted over the past six years from being solely a solar-equipment maker to also being a project developer. Its transformation reflects the evolving identity of many well-known solar panel manufacturers globally that sought to diversify as competition intensified and profit margins began to thin. China’s launch of the “Golden Sun” initiative in 2009 kick-started the country’s solar energy market and prompted many of its domestic manufacturers to expand into the project development and construction business. SunPower and First Solar, the two largest American solar panel makers, had become project developers before that. Canadian Solar has set sight on the U.S. for its project development business and bought Recurrent Energy from Sharp for $265 million. The acquisition came with four gigawatts of projects under development, three gigawatts of which are expected to be completed within three years, Potter said. Canadian Solar is interested in large projects that have at least several megawatts of generation capacity, so it’s not so keen on rooftop installations. That doesn’t mean the rooftop market isn’t a shining light, at least in the United States. Residential solar, for example, has enjoyed a growth spurt over the past five years and is set to make up a greater portion of the U.S. market starting in 2017. The use of power sales contracts, in which homeowners pay for the solar electricity but not the equipment, has been a big market booster. Many consumers like the idea of not having to spend tens of thousands of dollars on a solar PV system, when all they really want is the solar power it generates. Depending on the state, the cost of that solar power is equal to or less than what the consumer pays for grid electricity. About 1.2 gigawatts of residential solar projects in the U.S. were completed in 2014, the first time a gigawatt has been exceeded in a single year. Over 50 per cent of that market is covered by just five companies: SolarCity, Vivint Solar, Sungevity, Sunrun and Verengo Solar. SolarCity, a public company, is the largest and takes up 34 per cent of the share in this segment. Vivint Solar follows at No. 2 and went public on the New York Stock Exchange last October. SolarCity, whose chairman is high-profile Tesla Motors founder Elon Musk, has excelled in buying and developing technology, such as racks for mounting solar panels, to reduce the time and money it takes to sign up customers and complete installations. The California developer is also a trailblazer at creating financial products to attract investors. It completed the first securitization of rooftop solar assets in 2013, selling notes to investors and paying interest with money generated from long-term power sale contracts signed with homeowners. Last year, SolarCity launched an online portal that allows it to sell “solar bonds” directly to consumers. SolarCity is also ahead of its main rivals in testing the emerging energy storage market. The company has been marketing lithium-ion battery systems assembled by Tesla Motors to home and business owners. As part of a pilot program, the companies have already equipped 300 homes and introduced a solar-storage combo to 11 Wal-Mart stores in California. At an event at the end of April, Tesla and SolarCity officially announced the new storage product – two, in fact: one for homeowners and one for utility-scale projects. Musk has said that within five to 10 years every solar PV system installed by SolarCity will be combined with energy storage, which will come from a massive new battery manufacturing facility Tesla is building in Nevada. 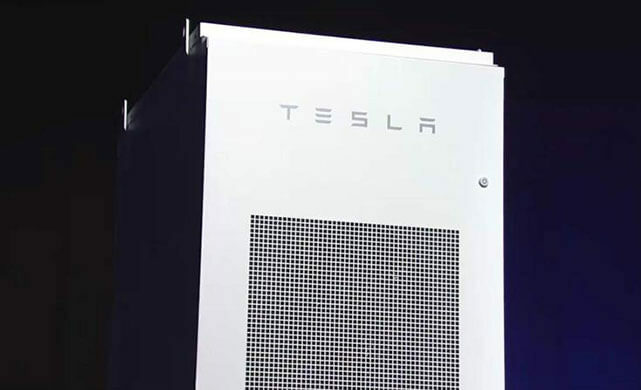 Tesla’s utility-scale Powerpack. Photo courtesy of Tesla. Competitors such as SunEdison, which purchased the startup Solar Grid Storage in early March, are also moving in this direction. It signals a new phase of growth for the solar market and potentially a major threat to utilities. The International Energy Agency (IEA) predicted last fall that the sun could be the world’s largest source of electricity by 2050, generating 27 per cent of the planet’s power. Enabled by energy storage and benefitting from economies of scale that continue to lower costs, that forecast is far from an exaggeration. On the contrary, based on the IEA’s miserable record of predicting the growth of renewable energy, its forecast is likely low-balling the potential of solar.